It's really easy to enter. 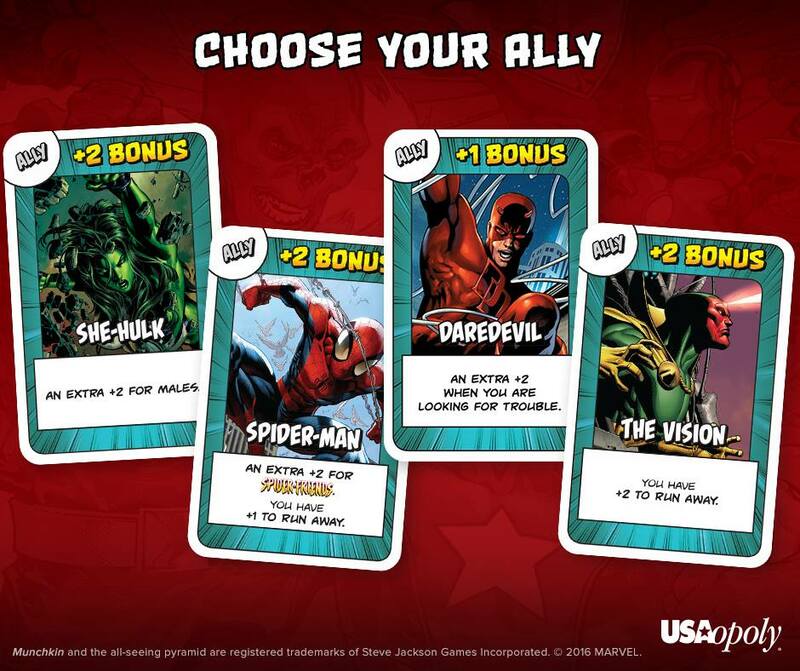 Just head to the USAOpoly Contest Page (it's the one linked below for convenience, too) and let them know who you think would be the best ally: She-Hulk, Spider-Man, Daredevil, or Vision. Personally, I say it's She-Hulk because having lawyers as friends and allies is never a bad thing.